Author/s : B. G. Glover 1, K. L. Foltz 1, I. Holásková 2 and J. S. Moritz 1. / 1 Division of Animal and Nutritional Sciences, Davis College of Agriculture, Natural Resources and Design, West Virginia University, Morgantown, WV, USA; and 2 Davis College of Agriculture, Natural Resources and Design Administration, West Virginia University, Morgantown, WV, USA. Very interesting results. It means that an identical feed formulation can result in a different profitability for the poultry farmer depending on pellet quality. The time constraints for some feed mills can also increase the pelleting temperature potentially reducing the value of some nutrients. Reaching high temperatures > 80 C temperature Caramel formation takes place from molasses and it is harmful . . To control Salmonella it is better to think other therapy like Clove oil ,Garlic etc . Sataluri Satagopa Raja Ayyangar , I do not agree regarding with your statement on Salmonella. It is far better to try to minimize the occurrence of Salmonella in every link of the production chain. Before arrival of the chickens, pens must be cleaned and desinfected. Salmonella in the feed should be eliminated and as a further safety factor butyric acid could be added to the feed. It does make much sense to feed the birds with a diet containing Salmonella if you want to avoid Salmonella. Glenn Alfred S. Ferriol, Happy New Year! My comment regarding addition of butyric acid was meant as a generic approach for prevention of Salmonella. I agree that coating of the butyrate is needed to control where the butyrate is released in the GI tract (and due to smell). Steffen Hansen If the purpose of the additive is to control Salmonella in the feed, then butyric acid is actually a poor choice, especially protected butyric. Protected butyric acid cannot interact with Salmonella in feed, only within the gut (wherever the protection is designed to release the acid). And, the butyric acid effect in the hind gut is more about feeding the enterocytes to improve tight junction function, than direct action against the Salmonella. A better option for feed decontamination would be unprotected acids in general, and formic acid in particular. Unprotected acids can work to decontaminate the feed *before* the birds consume it, and you get more active ingredient per kg inclusion from lower molecular weight organic acids (formic is half the MW of butyric, thus providing roughly 2x the acidification potential). Joshua Jendza, I was actually not mentioning decontamination of the feed but only what could work after the feed was ingested by the bird. I agree that the addition of acids other than butyrate are able to reduce Salmonella in the feed. If the birds get Salmonella from the litter or water, the inclusion rate of butyrate needed for an effect on Salmonella is much smaller compared with other acids. Joshua Jendza I agree with most acids are used to decontaminate the feed (sort of cleaning the feed) before ingestion by the birds. Butyric Acid on the other hand (if it’s precision delivered) it can act as the last line of defense, as the action is more on preventing the attachment of Salmonella in the host cell, preventing colonization. As I have said it will work well as part of a salmonella attack plan. And it’s just one of the benefit of Butyric Acid is if it’s precision delivered. Recent data even show that it can lower down the campylobacter in the hind gut, again only if it’s precisely delivered. Application of Butyrate Acid is not mainly on acidification. Hence you have to use acidifiers if that is the objective. I am not condemning addition of butyric acid ,but there is other herbal therapy Orange Oil which was told to eradicate Salmonella can be tried as echo free method . Sataluri Satagopa Raja Ayyangar, Thanks for the information. The effect of various acids on Salmonella have been thoroughly documented in vitro and in vivo. I hope you have received documentation of the efficacy of these herbal products before you implement them in your broiler feed. Because of its strong and pungent odor, butyric acid is commonly used in its Butyrate form (as a calcium or sodium salt). Recurrent studies have concluded that after supplementation with Butyrate, there has been an increase in the height of the villi and the depth of the crypts in pigs and birds (Galfi and Bokori, 1990, Leeson et al., 2005). The growth in the height of the villi favors the absorption surface of the small intestine and improves the perfomance in the utilization of nutrients, for which recent work has shown that when the Butyrate is orally ingested it can have beneficial effects on the productive parameters in monogastrics (Bergman, 1990; Smulikowska et al., 2006; Biagi et al., 2007; Hu and Guo, 2007; Mazzoni et al., 2008; Czerwinski et al., 2012). What are the differences between the use of sodium or calcium propionate for the control of poultry clostredia ? Atef Abou Zead I would expect them to be less effective than the same molar concentration of the pure propionic acid. 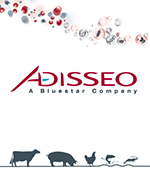 Acid salts are convenient, but you sacrifice feed hygiene efficacy for that convenience. I discussed this in greater length in an eFeedLink article published last year. Interesting article (as mentioned by Steffen) and interesting discussion; reaching even the sanitation of feeds. Just a few words on the side topic. I fully agree with Luis and Gleen- the influence of butyrates on gut health and its positive influence on production results in broilers. Many organic acids, etheric oils and other eubiotics (used separate or as a mixture) have positive influence on Salmonella and/or other pathogenic microbes in feed and the gut. But we know also that none is enough effective to eliminate it. Similar problem we have with Clostridium or E.coli (eg. benzoic acid is very effective). As all above opinions, we agree that only combination of physical factors (pelleting/expanding), disinfection, organic acids, phytobiotics, etc., could solve/ minimize the problem. Coming back to the main topic- there is evidence that poor quality pellets (too soft, much fines, small particle size <0,8mm) are worse than good mash feed (bigger particles 0,8-2,5 mm, not much fines). Very Good discussion on the topic. The acidifier combination with the essential oils is the best solution. I have found the results are better when the combination of these two materials done practically. For seven years, I have used a combination of these two in poultry nutrition and got very good results in my consultancy farms. If we correlate with our Indian recipes in our diet (Human Daily food) we are using lots of essential oils through turmeric, chilly, ginger, garlic and so many other spices in different recipes. When we eat, we add citric acid (lemon juice) Tannic acid (tamarind) on top or in the recipe. That means we, also from ancient time, have been eating a right combination of acid and essential oil to control the pathogens in our food chain. So practically, if we do it in poultry nutrition, it will act as a very good antimicrobial and digestive stimulator. Expert comments are welcome for continuing the discussion. Most people in the feed milling industry has common thought to produce high quality feeds on formulation. Yes, good quality products starts from raw mats whatever you producef but based on our study, there are many factors why feed mill plants could not be able to maintain because its only their main focus however some on the grinding equipment and steam conditioning but only few make rigid study on pelleting. It is why our company, JIT GOLDEN HOLES offers seminar on "MAINTAINING FEED QUALITY CONSISTENCY ON PELLETIZING". It discuss to the deeper issues in order to maintain feed quality consistency because once you does not know your feed quality starts to deteriorate while pelletizing, its really hard to maintain. I do agree with the comments made by Dr Atul Deshmukh on inclusion of combination of conventional sources of organic acids in poultry diets. There are some Indian organisations, their core capability is sourcing herbal sources of organic acids and essential oils. I have evaluated a lot of essential oil products in my research lab with little effectiveness in a well balanced corn-soy diet. That said, a good quality pellet certainly aids in improved FCR and especially in hot weather conditions. thank you for the comment. I had written to you earlier on my plan to do collaborative work with you, particularly on vitamins nutrition. Then, I was a senior lecturer. Now, I'm a professor and the current dean of the postgraduate school. I just wonder if we can still collaborate. Stay blessed. The blend of herbal products has two main results: improvement in gut health by synergism effects but slightly lowered growth due to the reduction of feed consumption, which broiler producers do not desire. 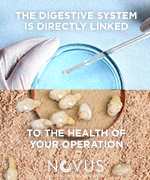 I consider it opportune to specify that the benefactor effect in the modulation of the intestinal microbiota, it is through its antimicrobial activity or through the same stimulation of eubiosis (balance of beneficial microflora). This will be repeated, apart from its other properties (eg control of avian coccidia, innunoimulation, etc); in an encouraging performance in the productive parameters: greater weight increase / day, lower feed intake, improved feed conversion and higher final weight at the time of the benefit. It is not in vain that phytobiotics are classified as modern growth promoters, as alternatives to antibiotics used as a premix, and that since 2006 the EU has banned their use. Who volunteer to make two new posts: 1. Effect of acidifiers on Salmonella in poultry feed. 2. Effect of essential oils on Salmonella in poultry feed. Treating the feeds with a good formaldehyde based preservative like Termin 8 will reduce the importance of feed as a potential vector, so it might be something to consider. The protection offered by formic acid is much less effective. Karl Poulsen , Ciao, but formaldehyde ( E 240, Reg. CE 1831, feed additives register ) is registered only for pigs. How are you, and how is Amy. Thank you for the comment. I have done a lot of work to control salmonella, use of photogenic oil and improve pellet quality, the start point is the quality of feeds and additives can work based on GIT and husbandry practice. Stay blessed. Attia Y.A., Ellakany H.F., Abd El-Hamid A.E., Bovera Fulvia, Ghazaly S.A. (2012). Control of Salmonella enteritidis infection in male layer chickens by acetic acid and/or prebiotics, probiotics and antibiotics. Arch. Geflügelk., 76 (4) 239–245. Attia Y. A., A. E. Abd El-Hamid, H. F. Ellakany, F. Bovera, M. A. Al-Harthi and S. A. Ghazaly (2013). Growing and laying performance of Japanese quail fed diet supplemented with different concentrations of acetic acid. Ita. Journal Anim. Sci. 2013; 12, e37:222-230. Attia, Y. A., El-Tahawy W. S., Abd El-Hamid A. E., Nizza A., El-Kelway M.I., M. A. Al-Harthi, and Bovera F. (2014). Effect of feed form, pellet diameter and enzymes supplementation on carcass characteristics, meat quality, blood plasma constituents and stress indicators of broilers. Archiv Tierzucht 57 (2014) 57, 30, 1-14, doi: 10.7482/0003-9438-57-030. Attia, Y. A., El-Tahawy W. S., Abd El-Hamid A. E., Nizza A., Bovera F., Mohammed A. Al-Harthi and El-Kelway M.I. (2014). Effect of feed form, pellet diameter and enzymes supplementation on growth performance and nutrient digestibility of broiler during days 21-37 of age. Archiv Tierzucht 57 (2014), 57, 34, 1-11. doi: 10.7482/0003-9438-57-034. Attia, Y. A., El-Tahawy, W.S. Abd El-Hamid, A. E., Hassan, S. S. Antonino Nizza, El-Kelaway, M. I. (2012). Effect of phytase with or without multienzyme supplementation on performance and nutrient digestibility of young broiler chicks fed mash or crumble diets. Italian Journal of Animal Science 2012; 11:e56:303:308. Attia, Y. A. and Al-Harthi, M. A. (2015). Nigella seed oil as an alternative to antibiotic growth promoters for broiler Chickens. Europ. Poult. Sci., 79. 2015, ISSN 1612-9199, DOI: 10.1399/eps.2015.80. Attia, Y. A., Bakhashwain Ahmed A. & Bertu Nehal K. (2017). 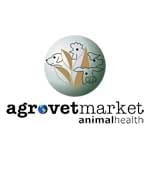 Thyme oil (Thyme vulgaris L.) as a natural growth promoter for broiler chickens reared under hot climate. Italian Journal of Animal Science, 16: 275–282. DOI: 10.1080/1828051X.2016.1245594. Would you like to discuss about this topic: Effects of modest improvements in pellet quality and experiment pen size on broiler chicken performance?